Stroud’s Daniel Cooper returned this week from arguably his most difficult and challenging campaign at the Isle of Man TT races after two major incidents left him shaken and with major damage to his machinery to deal with. The 30-year old narrowly avoided an incident on the Wednesday evening of practice week when a course car was on the course with riders travelling in the opposite direction as they returned to the pits after an earlier, separate accident. With his confidence severely dented after the near miss and having seen the subsequent accident and aftermath when the car collided with fellow rider Steve Mercer, leaving the Kent rider seriously injured, Cooper regrouped only to be knocked off at high speed during the final practice session on Friday evening. As a result, his 600cc KW Electrical/CMS Honda was severely damaged which meant he had to miss the first Supersport 600cc race on Monday whilst he also pulled out on the second lap of the opening Superbike race as he tried to get his race week back on track after the aforementioned accidents. 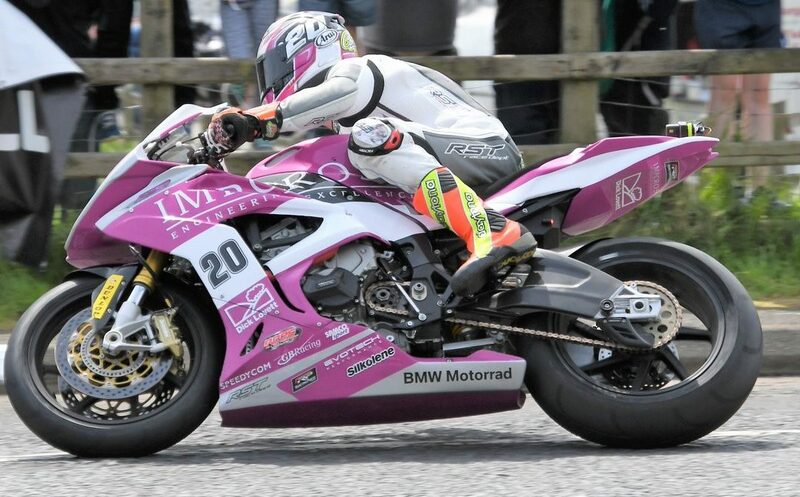 His week began to turn around in Monday’s 4-lap Superstock race when he finished 30th, with a best lap of 124.947mph on the Impcross Engineering BMW, which although some way off his best form, did, at least, see him complete the race and win a bronze replica. With his 600cc Honda repaired, he duly took to the grid for Wednesday’s second 4-lap Supersport 600cc race and it proved to be his best result of the week as he finished in a strong 15th place where, aided by a personal best lap of 123.952mph – his best ever on a 600cc machine around the 37.73-mile Mountain Course, he picked up another silver replica. His penultimate race of the week was the 4-lap Lightweight race where he was on board the KW Electrical/CMS Kawasaki and a good opening lap of 118.108mph saw him slot into a strong eighth place. Improving his speed second time around to 118.649mph – a personal best in the Lightweight class – he moved up a place to seventh but just as a good result looked to be on the cards, he was forced to retire on the third lap due to an electrical issue. That just left the closing six-lap Senior race where he was back out on the Impcross Engineering BMW but although his opening lap was a solid 124.641mph and put him on the edge of the top twenty, a problem with the quickshifter caused him to stop twice on the second lap, before eventually having to retire at the pits. Dan’s next outing will be at Aberdare Park in July. This article was originally published in the Stroud News & Journal.